The uva ursi plant is found in colder, northern climates. It has red flowers and red berries, which bears like to eat. The leaf is used medicinally. Uva ursi may help treat UTIs by killing bacteria in the bladder and urinary tract. The leaves and berries were used by numerous indigenous people from northern latitudes. 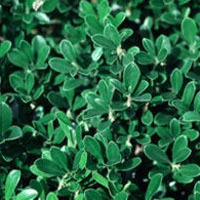 Combined with tobacco, Native Americans sometimes smoked uva ursi. It was also used as a beverage tea in some places in Russia. The berries were considered beneficial as a weight-loss aid. It was found in wide use for infections of all parts of the body because of its astringent, or “drying,” action.